HOLIDAY GREETINGS: To all my readers, I wish you a most happy holiday season. Christmas time is my favorite holiday because it is the annual celebration of the birth of Jesus Christ; and I enjoy greeting family, and friends with "Merry Christmas" and "Happy New Year". I also enjoy giving gifts and spreading joy and happiness. THIS PAST YEAR I've met a lot of new friends, which reminds me of what Robert Louis Stevenson once said, "Strangers are friends you haven't met yet." So true. Every person I've met has a story and as we move into a new year, 2012, we must commit ourselves to make our country a better place to live. I CAN'T HELP but think about the undocumented Mexican families who are suffering as a result of partisan politics and a broken immigration system. These undocumented Mexicans are not criminals, but hard-working individuals. Yes, they crossed the border illegally. Why? For the American dream. Despite what some Americans believe, these individuals are part of a workforce who contribute to our economy. In states like Alabama entire Mexican communities are struggling to survive under unjust laws; laws driving undocumented workers from the state. These unjust laws are now having an adverse economic effect on Alabama's farming industry. The anti-Mexican aura exists because some Americans think illegals are the cause to joblessness of American workers. It is a known fact Mexicans are hard workers. In migrant families children are doing stoop labor, carrying on a strong work ethic. SOLUTION: U.S. Presidents and Governors have given pardons to criminals; municipalities have given amnesty to citizens who owe for parking tickets. Amnesty should be the beginning point to our broken immigration system. We all know it is impossible to deport 10.8 million undocumented Mexicans, especially when 7 million are in the work force. Here is were reality dictates; legalizing undocumented Mexicans will make America strong. Their legalized status would fuel economic growth and stop sapping time, energy and tax dollars used debating the issue. Our government, Immigration and Customs Enforcement (ICE) needs to stop splitting up families causing suffering and anxiety for the children of the undocumented. America is a compassionate country and during this holiday season Americans need to express their compassion by making our country a better place to live, work and prosper. It is the American way. May your holidays be the best for you and your family. TEAMSTER RECEPTION: Teamster leader Jesse Miranda and Cicero Democratic Committeeman Charlie Hernandez hosted a "Meet the Candidates" reception. The reception was held on Thursday, Dec. 8, 2011 at the Club, 6033 W. Roosevelt Road in Cicero. STATE REPRESENTATIVE Elizabeth "Lisa" Hernandez [24nd District] was also introduced. Mayor of Berwyn, Robert J. Lovero, and Committeeman Hernandez spoke to the guest and supporters. It was an informative gathering. The Primary Election is Tuesday, March 20, 2012. IBEW 1031: Celebrated the Union's 75th "Years of Accomplishments" Anniversary [1936-2011].The event was held on Saturday, Dec. 10, 2011 at Manzo's Banquets, 1571 S. Elmhurst Road in Des Plaines, IL. UNDER THE LEADERSHIP of Jose A. Caez, Business Manger and Financial Secretary of the International Brotherhood Of Electrical Workers [IBEW] Local 1031, the celebration started with Jose Caez thanking guests and employers for attending the event. Invocation was given by member and Deacon Freddie T. Young. Following the introductions a professional video presentation of the history of Local 1031 with many photos from the Union's archives was shown. Local 1031 was the largest labor organization in the Chicagoland area for many years, with 32,000 members. Their members work in electrical manufacturing. Music was provided by DJ Napoli. Two hundred members and guests attended the event. We congratulate Local 1031 for its contributions to the labor movement. JOSE A. CAEZ, formerly the President of the Labor Council for Latin American Advancement [LCLAA], is an officer with the Hispanic American Labor Council, a delegate to the Chicago Federation of Labor, a National LCLAA Board member. Caez was the recipient of the 1998 "The Man of the Year" awarded to him by the Hispanic American Labor Council. Jose has been a Local 1031 union member for 37 years and worked at Appleton Electric Co. in Chicago. He served as a Business Representative for nine years and presently the Business Manager for the past 16 years. CEREMONY: Instituto del Progreso Latino held a Completion Ceremony on Friday, Dec. 9, 2011 at the Instituto Health Sciences Academy, 2520 S. Western Ave. Completion Certifications were given to 17 students who completed a course on Building Energy Technologies. Weatherization Certificates were given to 17 students. INTRODUCTION OF SPEAKERS was by Dr. Ricardo Estrada, Vice President of Education and Programs, Instituto del Progreso Latino. CEO and President Juan Salgado of Instituto del Progreso Latino gave a welcoming address to the students and guests. Guest speaker was Gerald McGleam, Deputy Program Manager for Special Projects and Building Energy Technologies Program speaker was Steinar Egeland. Dr. Victoria Cooper, Director - ETP from Wilbur Wright College, also gave a few words. Wilbur Wright College is one of the financial supporters for the Environmental Technologies Program. ACKNOWLEDGEMENT was given to all the hardworking students and their families for their dedication to the successful program. FUND RAISER: Lt. Gov. Sheila Simon was the special guest at Commissioner Michael Cabonargi's, [2nd District] Cook County Board of Review fund-raiser. The holiday reception held Friday, Dec. 9, 2011 at the Allergro Hotel in downtown Chicago was well attended by many friends and supporters of Commissioner Cabonargi. Also in attendance was Colleague Commissioner Larry Rogers Jr. [2nd District] Board of Review. COMMISSIONER Cabonargi sponsors seminars on how homeowners can appeal their property assessment. "We want to make sure people pay [property taxes] what they have to pay and not a dime more," said Cabonargi. The Commissioner said his first job fresh out of college at the age of 22 was an intern for Paul Simon. "I drove Paul Simon around and being with Paul Simon I got to know what public service is all about. You can't be taught integrity or character, it has to be innate," said Cabonargi. He introduce Sheila Simon as someone who comes from a family of public servants. LT. GOV. SHEILA SIMON told a story about her dad, Paul Simon, who grew up in Oregon and what he learned from his father. "Grandpa Martin was a Lutheran minister and had a Lutheran radio station. He told his listeners that we should not be interning Japanese citizens. This was the most unpopular thing to say at that time. Dad was embarrassed and neighborhood kids said that his dad was rotten. It was years later that my dad understood why his father did it. This was the most outstanding thing his father did in his life," said Sheila. She ended her speech by saying, "Do the right thing and support Mike." CHALLENGES: Objections have been filed against the nominating petitions of the following Latino candidates who filed their candidacy for the Tuesday, March 20, 2012 Democratic Primary Election. 2nd State Representative District: Edward J. Acevedo nominating petitions are being challenged by objector Elias Espindola. 3rd State Representative District: Luis Arroyo nominating petitions are being challenged by objector Denise Garcia. 21st State Representative District: Rudy Lozano nominating petitions are being challenged by Jose Luis Garcia Jr.
24th State Representative District: Elizabeth Hernandez nominating petitions are being challenged by Kevin Wunder and David Miranda. 24th State Representative District: Neftalie Gonzalez nominating petitions are being challenged by objector Lelis V. Gonzalez. 12th Senate District: Raul Montes Jr. nominating petition objections pending. 1st Senate District: Edgar Diaz nominating petitions are being challenged by objector Elizabeth Diaz Castillo. 1st Appellate Court: Rodolfo (Rudy) Garcia nominating petitions are being challenged by objector Roberto A. Villa. 6th Subcircuit Cook: Carlos A. Vazquez nominating petitions are being challenged by objectors Ricardo Lugo and Carlos Claudio. Clerk of the Circuit Court: Ricardo Munoz nominating petitions are being challenged by objectors Dorothy Walton, Leticia Boughton, Mark Gomolski and James Edwards. 1st Ward Democratic Committeeman Jesse Ruben Juarez nominating petition objections pending. COOK COUNTY ELECTORAL BOARD is chaired by Cook County Clerk David Orr along with Dorothy Brown, Clerk of the Circuit Court and Anita Alvarez, Cook County States Attorney. They will hear objections to Cook County candidate's nominating papers, petition and other disputes over candidacies. Electoral Board hearings will be held at the Cook County Administration Building, 69 West Washington St. in the Pedway Room Lower Level, Chicago. Open to the public. For scheduling of hearings call: English: 312/603-5656 or Espanol: 312/603-6767. NEW LOCATION: The Little Village Chamber of Commerce held their Christmas Party at their new office located at 2458 S. Millard Ave. in Little Village. Their office hours are from 9:00 a.m. to 5:00 p.m. The Chamber's mission statement reads: "The mission of the Little Village Chamber of Commerce is to support, promote and enhance the growth and success of our local businesses and to leverage the community's assets, contributions and unique Mexican cultural identity to generate new business opportunities." LV CHAMBER OFFICERS: Alejandro Castro, President; Teresita Marsal Avila, Vice-President; Mark T. Doyle, Treasurer; Nilda Esparza, Executive Director and Vanessa Alvarez, Outreach Liaison. To contact the Chamber call 773/521-5387, FAX 773/521-5252. A PROTEST: A special meeting will be held at the Little Village Community Council, 3610 W. 26th St. from 4 p.m. to 6 p.m. Tuesday, Dec. 20, 2011. This meeting is to protest the slated closing of the Otis Grant Collins Post Office, 2302 S. Pulaski Road, scheduled to be closed May 15, 2012. The post office serves the residents of the South Lawndale/Little Village neighborhood. All residents in Little Village are invited and encouraged to attend. "THE CLOSING of our Post Office will cut postal services in our community. We are one of several minority offices targeted to close," said Baltazar Enriquez, Coordinator of the protest organized by Little Village Community Council. GRAN PROTESTA! "Menos servicios postal en La Villita, meno entregos des cartas, linias largas, solo oficinas postales de minorias servan cerradas! ", dijo Baltazar Enriquez, "cierran la oficiana del correo!" Asistir a la reunion Martes, Dec. 20, 2011, Oficina de la Villita, 3610 W. 26th St., Hora: 4 p.m. - 6 p.m. INVITED to the meeting is Congressman Danny Davis [7th District] and Congressman Luis V. Gutierrez [4th District] or their representative. "We also invited the Postmaster General of the Chicago Postal Stations," said Baltazar. For more info call 773/522-2552. UNION HALL OF HONOR: The Illinois Labor History Society celebrated their 2011 Union Hall of Honor reception with an evening at The Timeline Theatre, 615 W. Welling Ave. with the production play of "The Pitmen Painters". The play was about a group of coal miners in Northern England. The miners took an art appreciation class becoming painters and creating an outstanding body of work. They became art world sensations. THE FIVE male and two female actors in the "Pitmen Painters" gave an outstanding performance. The acting, storyline, visual arts and setting of the "Pitmen Painters" was excellent. It was serious, hilarious and enjoyable theatre-in-the-round intimate setting. AT THE reception five artists were introduced and inducted into the Union Hall of Honor. John H. Walker, Illinois miner leader and muralists Mike Alewitz, Kathleen Farrell, Alejandro Romero and Charles White. Each artist was given a plaque for their contribution to labor history artwork. PILSEN MURALIST Alejandro Romero was inducted into Union Hall of Honor for his murals reflecting the labor movement. He grew up in Mexico and was influenced by his neighbor and mentor, David Alfaro Siqueiros. He began is art studies in 1967 and was profoundly affected by England muralist Charles Spencer who painted murals depicting the British industrial workers. ROMERO came to Chicago in 1976 and has created art for unions and community organizations. The stage bill reads: "His murals' strikingly vivid colors bring joy, power and life to his portrayals of communities, working people and revolutionary leaders." Alejandro has painted murals for Central States Council and the Chicago Federation of Labor. Each of his murals are a celebration. ILHS PRESIDENT LARRY SPIVACK said: "Today we honor a coal miner and several artists. ILHS invited our friends and members and the general public to see this play, The Pitman Painters, because it captures the essence of life for all of us and indeed, the meaning being the historical struggle for a shorter work day; the revolutionary idea that one could spend part of their day not only working to survive, but having the time to create and contribute to our humanity embedded in art, music, creativity and association." SPECIAL GUEST at the reception was former ILHS President emeritus Les Orear,100, who said: "It's good to be alive and well and speaking to you!" The evening ended with musician Bucky Halker playing the guitar and everyone holding hands singing "Solidarity Forever for the Union makes us strong." I give the play four stars. Illinois Labor History Society, 28 East Jackson Blvd., Suite 1012, Chicago, 60604, phone: 312/663-4107. IN MEMORY: Maggie Daley [1943-2011] was a class act. I met Mrs. Daley in Copenhagen, Denmark Oct. 2, 2009 as a member of the Outreach Committee for the Chicago Olympic 2016 Games. Copenhagen hosted the International Olympic Committee [IOC] convention to vote for the city who would host the 2016 Olympics. Mayor Richard M. Daley lead a contingent of 500 Chicagoans to Copenhagen in support of Chicago's bid for the Olympics games. MAYOR DALEY and Pat Ryan, Chairman of the 2016 Chicago Olympic Committee, hosted a dinner meeting for the Chicago contingent informing us what to expect while in Copenhagen. Prior to the meeting delegates had an opportunity to mingle with one another. The ambiance was festive. Three tables away from where I was sitting Maggie Daley was sitting with Olympian Nadia Comaneci. MRS. DALEY thanked me for supporting the Chicago bid for the 2016 Olympic games and for being in Copenhagen. To meet Mrs. Daley was an honor. She was gracious to have a photograph taken with me. The trip to Copenhagen was exciting even though Chicago did not win the 2016 bid. Maggie Daley's legacy is an inspiration to all Chicagoans and cancer victims alike. LATINOS POLITICOS: More Latinos are filing for public office and/or for party positions in Illinois and Cook County. An important observation is several Latino politicians hold more than one political position within their communities. THERE ARE two Latino candidates who have filed for the March 20, 2012 Primary Election for a Countywide positions. Incumbent Anita Alvarez who is seeking re-election as Cook County State's Attorney and has been endorsed by the Cook County Democratic Party. The other, Ricardo Munoz, filed his candidacy for Clerk of the Circuit Count on Monday, Dec. 5, 2011. "I'm a lifelong reformer. My career has been about cleaning up government." said Munoz. 1st Ward: Incumbent Jesse Ruben Juarez and Proco "Joe" Moreno. Moreno is the 1st Ward. Alderman. 12th Ward: Incumbent Antonio "Tony" Munoz. Munoz is the State Senator of State Senate District 1. 15th Ward: Raymond A. Lopez. 22nd Ward: Incumbent Ricardo Munoz and Neftalie Gonzalez. Munoz is the 22nd Ward Alderman, State Central Democratic Committeeman for the 4th Congressional District and a candidate for Cook County Clerk of the Circuit Court. 25th Ward: Incumbent Daniel "Danny" Solis. Solis is the Alderman of the 25th Ward. 26th Ward: Incumbent Roberto Maldonado. Maldonado is the Alderman of the 26th Ward. 30th Ward: Incumbent Ariel E. Reboyras. Reboyras is the Alderman of the 30th Ward. 31st Ward: Incumbent Joseph Berrios and Alonzo Zaragoza. Berrios is the Cook County Assessor and the Chairman of the Cook County Democratic Party. 35th Ward: Incumbent Rey Colon. Colon is the Alderman of the 35th Ward. 45th Ward: Jose L. "Joe" Rivera. HOLIDAY RECEPTION: The Honorable Lt. Gov. Sheila Simon will be the special guest at a holiday reception honoring Cook County Board of Review Commissioner Michael Cabonargi [District 2]. The reception will be held at Hotel Allegro, 171 Randolph St., Friday, Dec. 9, 2011 from 5:30 p.m. to 7:30 p.m.
DONOR LEVELS: To be a Co-Chair $2,500, Host $1,500, Sponsor $1,000, Friend $750 and for individual ticket: $150. To RSVP or for information call 312/854-8018. To purchase tickets visit www.cabonargi.com/donate. MICHAEL M. Cabonargi was sworn-in on February 10, 2011 as the Commissioner of the Second District on the Cook County Board of Review by Chief Justice Timothy Evans. Commissioner Cabonargi served as a senior attorney and prosecutor in the Chicago Regional Office of the United States Securities and Exchange Commission (SEC) from 2005 to 2011. He has hosted several seminars on how homeowners can appeal their property assessment. Commissioner Cabonargi office is at the Cook County Building, Room 601 and his phone number is 312/603-5560. REMAPPING OF WARDS: Ald. Proco "Joe" Moreno reported in his 1st Ward Newsletter that over the last decade the city's black population has declined by about 181,000. The number of whites dropped by about 53,000 and the Latino population grew by about 25,000. If the ethnic and racial makeup of the city mirrored its population, Chicago City Council should have 16 whites, 16 blacks, 15 Latinos and three Asian Aldermen. Presently, the City Council has 22 white Aldermen, 19 African-Americans, eight Latinos and one member of Indian descent. NEW WARD boundaries must be redrawn every 10 years. To avoid a referendum, a minimum of 41 aldermen must vote on, and sign off on, a new remap. 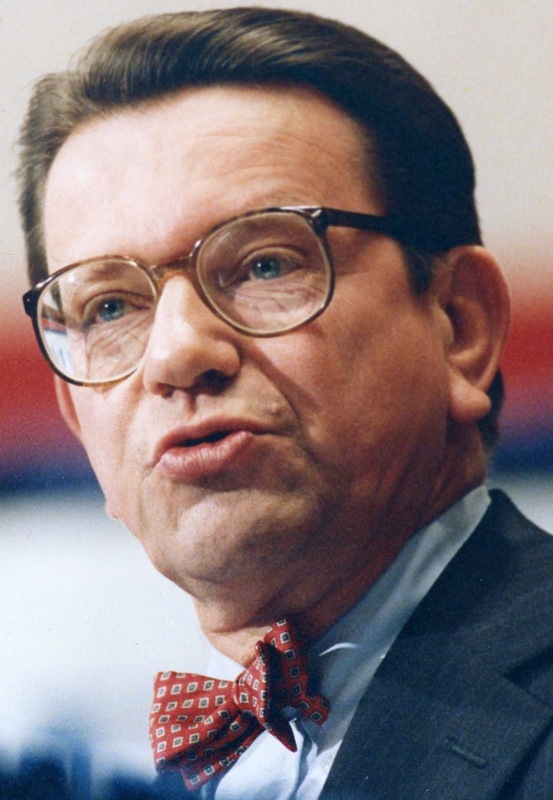 The 1990 remap referendum cost Chicago taxpayers around $20 million. In 2000 there was only one dissenting vote against that remap. The 50 City Aldermen must vote on a new city ward map in December of 2011. The Latino Aldermanic Caucus is seeking the creation of 14 Latino wards to reflect the increase of its population. DISABILITY RIGHTS: Last week Jaime Cornejo, Staff Associate for Community Development, with the Access Living organization dropped in at the Little Village Community Council office to inform us about Access Living's upcoming educational community forum. The forum is titled "Disability Rights." The forum is for those with disabilities regardless of legal status. Jaime said the forum is for those with disabilities to learn what their rights are and the services available in order for them to live independently and have access to housing. This is Access' ultimate goal. "Be a part of your community, learn and defend disability rights and services!" "CAMBIANDO VIDAS", a group of, and for, Latinos with disabilities invites you to participate the educational community forum on Saturday, Dec. 17, 2011 at Toman Library, 2708 S. Pulaski Ave. starting at 11:00 a.m. to 1:00 p.m. The forum will be conducted in Spanish. FOR MORE INFORMATION or to request a language/ASL interpreter or other accommodations or to RSVP call Michelle Garcia. Michelle is the community organizer for the Cambiando Vidas program and can be reached at 312/640-2194 or TTY: 312/640-2104 or email: mrobbins@accessliving.org. JAIME CORNEJO is Chilean who has a mild physical disability but an impressive demeanor. He began working for Access Living last month. In 2009 he graduated from University of Illinois in Champaign-Urbana with a degree in philosophy and African studies. In May 2011, he graduated from the University of Chicago with a Masters degree in Educational Policy Studies. PRIOR TO working for Access, Jaime worked for the Dept. of Human Services. "The reason for taking a position with Access is that they are great organization who advocates the needs of people with disabilities in Chicago," said Jaime. Jaime has been canvassing Little Village and said, "I didn't know Little Village had so many people with disabilities. I've met people with multiple disabilities; those in wheel and power chairs, the hearing challenged and even a person with a leg prostheses." CHICAGO IS not ADA friendly [Americans with Disabilities Act of 1990], according to Jaime. "The only place is on the CTA buses and "L" stations mostly, but not all are handicap accessible. In terms of ADA friendly housing, it is not accessible. Disability barriers are the main issues in housing because handicap people do not have the mobility to leave their homes. Jaime believes the reason most Latinos do not know about their rights is simply because they cannot leave their homes. INVISIBLE DISABILITIES, such as learning disabilities or blindness, are under Access' umbrella of aid and the purpose for their outreach efforts in our Latino community. If Access cannot meet a particular need, they will direct their client to another organization better suited to assist the disabled client. Access has focused on Latinos in the Little Village community because of extent of need. WE WANT to help people with disabilities--adults and youth--to become self-sufficient and lead normal lives with dignity," Jaime concluded. Cambiando Vidas' program is under the auspices of Access Living. A CELEBRATION: Mexican Catholics annually celebrate December 12th as the feast of Our Lady of Guadalupe. This year the feast is Monday, Dec. 12, 2011. Honoring Our Lady of Guadalupe dates back to the 16th Century beginning with a story of a poor Indian named Cuauhtlatohuac, who was baptized and given the name of Juan Diego. Diego lived in a small village near Mexico City and was a 57 year old widower. DECEMBER 9, 1531, a Saturday morning, Juan reported that on his way to a nearby barrio to attend mass he passed a hill called Tepeyac and he saw a radiant cloud and an apparition of a young maiden. The maiden told him to go to the bishop of Mexico, a Franciscan named Juan de Zumarrage, and tell him she wanted a shrine built where she stood, in her honor. WHEN JUAN told the bishop of the Lady's request the bishop told Juan to have the Lady give him a sign. The Lady provided roses for Juan to carry to the bishop in his woven cloth called a tilma or ayate. When Juan opened his tilma in the Bishop's presence, the roses fell to the ground and the Bishop sank to his knees. On Juan's tilma appeared an image of Our Lady of Guadalupe exactly as she had appeared at the hill of Tepeyac. JUAN DIEGO was canonized Saint Juan Diego by Pope John Paul II on July 31, 2002 at the Basilica of Guadalupe in Mexico City the major shrine of Our Lady of Guadalupe. Saturday, Dec. 10—Vacunas gratis/free flu shots from 9 a.m. to 3 p.m. at Little Village Community, 3610 W. 26th St.
Monday, Dec. 12--Feast of Our Lady of Guadalupe. Wednesday, Dec. 21: Santa Claus will be at Farragut Career Academy, 2345 S. Christiana Ave. in Little Village from 5:00 p.m. to 7:00 p.m. in the Breezeway. Bring your children, ages 3 – 6 years old only, to this community event. For more info call: 773/534-1300. EMPLOYEES of Midwest Generation helped bring in the 400 Thanksgiving bags and giveaway boxes into the Piotrowski Park gym. The gym was full of excited residents patiently waiting in line to receive their free food. The well organized event is another success under the leadership of Esparza and her staff. YOUNG LATINO: Jose Aguilar, 21, a junior at Columbia College, is the Student Organization Council [SOC] representative for the Latino Alliance. The SOC is a group who enforces rules which govern all the organizations at Columbia College. Jose's responsibilities include giving members of the Latino Alliance monthly update reports. LATINO ALLIANCE is a Latino student organization at Columbia College with 60 active members, including alumni who support the organization. MEMBERS of the Alliance attend Latino conferences for progression of Latinos in education. The recent celebration of "Dia de los Muertos" and a pen-pal program with students at the Benito Juarez high school are two examples of projects the Alliance is involved in. The group is looking to expand into community service and a soup kitchen for the hungry. ALLIANCE OFFICERS are Serafin Lopez, President; Alicia Valtierra, Vice President; Uri Brito, Vice President; Denise Perez, Secretary and Edgar Romero, Treasurer. For more information contact Serafin by e-mail: serafin.lopes5@yahoo.com. OUR CONDOLENCES to the Richard M. Daley family on the passing of Maggie Daley. Her legacy and her radiant smile will not be forgotten. Sat., Dec. 3--"The Pitmen Painters"
Theatre, 610 W. Wellington. Ticket $65. Village Community, 3610 W. 26th St.
1571 S. Elmhurst Rd., DesPlaines. Cocktails at 6 p.m. Program at 7 p.m.
JUDGE GARCIA: With the slogan of "Qualifications and Experience Matter," the legal community was well represented at Appellate Court Judge Rodolfo "Rudy" Garcia's Campaign Kickoff Reception. The reception was Tuesday, Nov. 17, 2011 at the downtown law office of Hughes Socol Piers Resnick & Dym, Ltd.
CO-CHAIRS of the Lawyer's Committee for Illinois Appellate Court Judge Rodolfo [Rudy] Garcia are Jeffrey D. Colman, John R. DeLeon, Terri L. Mascherin, Kalman D. Resnick, Manuel "Manny" Sanchez and William A. Von Hoene, Jr. Honorary Co-Chairs are Supreme Court Justices [Ret.] Hon. Thomas R. Fitzgerald, Hon. Mary Ann G. McMorrow and Hon. Benjamin K. Miller and numerous judges and attorneys. JUDGE GARCIA is seeking election as an incumbent Illinois Appellate Court Judge. He served in the First District since March 2003 to the present and as a Circuit Court Judge of Cook County from April 1996 to 2003. In November 1996, he was elected from the 14th Judicial Subcircuit. Judge Garcia has written 130 majority opinions, 20 special concurrence with opinions and 17 dissents with opinions. As of August 2011, the Illinois Supreme Court has accepted for review 15 cases in which Judge Garcia issued a written opinion. IN 2011, The Chicago Bar Association bar evaluation said: "Judge Garcia ....is well regarded for his knowledge of civil and criminal law, writing skills, strong work ethic and diligence." Rudy graduated from the University of Chicago Law School, Juris Doctorate, 1981; University of Illinois at Urbana, Bachelor of Arts Degree, 1976. JUDGE RUDY GARCIA is highly respected by the legal community, civic, labor, business, community leaders and organizations. As an incumbent, Judge Garcia deserves to be elected! VISIT www.Garcia4Appellate-Court.com. Friends of Rudy, P.O. Box 64322, Chicago, IL 60664-0322. You can contact Rudy Garcia at 312/493-6204 [24 Hours]. FLU CLINIC: Under the direction of Melissa Ponce, Senior Project Coordinator, Chicago area Immunization campaign, free flu shots [vacunas gratis] will be given to residents of Little Village. MELISSA was born in Coahuila, Mexico, raised in San Antonio, Texas and graduated from Northwestern University in 2004. She has worked for Illinois Maternal & Child Health Coalition, a non-profit organization, for the past five years. The Coalition advocates policy and education on different health issues. Melissa is now applying for her Masters in Social Studies. "I WOULD like everyone to know about flu shots. Anyone 6 months or older should get a flu shot every year," said Melissa. The flu virus is transmitted by coughing, sneezing and by touching. "Avoid touching your eyes, nose and mouth and avoid contact with others if they have the flu," said Melissa. MELISSA said, "the first defense against the flu is a flu shot." The flu shot will protect you from three different strains or type of flu, but will not protect you from a stomach virus or the common cold. THE ILLINOIS Maternal & Child Health is located at 1256 W. Chicago Ave., Chicago. Melissa Ponce can be contacted at 312/491-8161x33. FREE FLU SHOTS will be available at the Little Village Community Council, 3610 W. 26th St. on Saturday, Dec. 10, 2011 from 9 a.m. to 3 p.m. Spanish speaking staff will be at the flu clinic. IN REMEMBRANCE: Former U.S. Senator Paul Simon was born on Nov. 29th. He died Dec. 9, 2003 at the age of 73 in Springfield, IL. Paul was my friend and I will be remembering him on his birthday next week. I admired Paul because he was a gentleman, a statesman and honest. He was respected by both sides of the political aisle. When I was President of the Chicago Typographical Union No. 16, I made Paul Simon on Honorary Member of the Chicago Local because he already had a Union Card as a member of the International Typographical Union. He became an International Typographical Union member while running a small newspaper in Troy, Illinois. IN 2001, I invited Paul to be a guest on my TV show, "Political Roundtable" at Cable Access Inc. He agreed to the interview and we talked on my show for one hour. Paul had just come back from visiting Cuba, meeting with Fidel Castro. He said he met Castro at midnight because Castro was busy and he'd like to hold meetings late. Paul said, "We talked for five hours. Topics ranging from the embargo, world events and baseball. Castro liked baseball. And, we talked about the possibility exchanging baseball teams." His interview was interesting and his parting message was directed towards young people to "get involved in politics." IN 2003 WHEN I read that Paul was sick and in the hospital, I called to wish him well. He died two days later. I attended his Memorial Service held in the auditorium of Southern Illinois University in Carbondale. It was a very moving ceremony. I miss his friendship. "THE PITMEN Painters" is a story of five British depression-era union miners and their journey to becoming accomplished artists. This widely acclaimed play by the author of "Billy Elliot". Pilsen muralist, Alejandrano Romero, will be honored and inducted into the Union Hall of Honor. MOVIE REVIEW: The movie, "J. Edgar Hoover", starring Leonardo DiCaprio and directed by Clint Eastwood is boring and difficult to believe. How did Eastwood know about Hoover's private life? The film takes creative liberty to new heights. Some actors looked (and acted) plastic and the constant flashbacks made the story line confusing. The movie is not even worth "video" time. I give it a big ZERO! FALL FIESTA: State Representative Elizabeth "Lisa" Hernandez [D-24th District] expressed her gratitude to 200 guests who attended her Fall Fiesta fund-raiser. The Fiesta was held on Monday, Nov. 14, 2011 at Paisan's Restaurant in Berwyn. "I am greatly honored by the show of support that I am receiving from everyone in the room, and especially from the Speaker of the House Michael Madigan," Lisa said. MADIGAN praised Rep. Hernandez as a full-time working legislator. "I am asking everyone here to do whatever you can to help Lisa go back to Springfield. She has helped pass bills and sponsored bills. She deserves to be elected by her constituents in the new 24th Legislative District," Madigan said. REP. HERNANDEZ explained her new district which includes part of the southwest side of Chicago--Little Village. Rep. Hernandez introduced the following Democratic candidates present: Judge Jean Prendergast Rooney, Judge Jesse G. Reyes, Judge Stanley L. Hill, Ald. Ricardo Munoz, candidate for Clerk of the Circuit Court; Judge Alfred M. Swanson, Judge Diann Karen Marsalek, Clerk of the Circuit Court Dorothy Brown, Karen Yarbrough, candidate for Cook County Recorder of Deeds and supporter Cook County Commissioner Jeffrey R. Tobolski [16th District]. The General Primary Election is Tuesday, March 20, 2012. Lisa also introduced her husband Charlie Hernandez, Democratic Committeeman for the Town of Cicero. ON MONDAY, Nov. 21, 2011, Rep. Hernandez is hosting a College 101 Workshop from 6:30 p.m. to 8:30 p.m., at Morton East High School [Senior Cafeteria-2nd floor], 2423 S. Austin Blvd., Cicero. Students and parents will have an opportunity to learn about financial aid resources, college admission and speak with representatives from state agencies and local universities. For more information or to RSVP, call Rep. Hernandez's service office at 708/222-5240. POST OFFICE: The Otis Grant Collins Station, formerly known as the Hawthorn Station, 2302 S. Pulaski Road in Little Village is on a list slated to be closed. 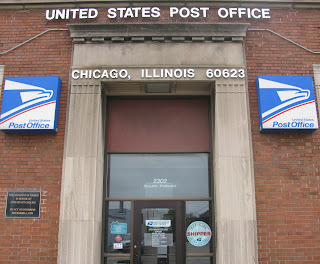 This Post Office serves the North and South Lawndale communities of zip code 60623. A LETTER POSTED at the entrance of the Collins Post Office by Postmaster Donald Nichols reads: "To the customers of the Otis Grant Collins Station: The Postal Service is considering the closure of the Otis Grant Collins Station for reasons stated in the accompanying proposal. During the 60-day posting period from 10/25/2011 through 12/26/2011 you are invited to provide written comments. Comments will be most helpful if they offer specific opinions and information favorable or unfavorable regarding the potential effect of the proposed change on postal services and on the community. Your comments will be carefully considered and will be incorporated into the official record which will be made public if the proposal is finalized. COPIES OF THE proposal and optional comment forms are available upon request at the Otis Grant Collins Station, Cicero Branch and Otis Grant Collins station. If you choose to use the optional comment form and need additional space, please attach additional sheets of paper. PLEASE RETURN the comment form to: ELVIRA PEREZ, 433 W. Harrison Street, Chicago, IL 60699-9998. For more information, you may call Elvira Perez at 312/983-8047 or write to the above address. Thank you for your assistance." /signed/Donald Nichols, Postmaster. THE OTIS COLLINS STATION is in Congressman Danny Davis', 7th Congressional District. However, it also serves Little Village residents in Congressman Luis V. Gutierrez, 4th Congressional District. The Postal Service claims they will save an estimated $2,374,372 over the next ten years by closing the Collins Station. There are 64 craft employees assigned to this unit. A MEETING was held on October 25, 2011 with representatives from the Postal Service at the New Mt. Pilgrim Missionary Baptist Church, 4301 W. Washington Blvd. to answer questions and provide information to customers. THE LITTLE VILLAGE Community Council is requesting that U.S. Postal Service [bilingual] representatives hold a meeting in Little Village for residents to express their opinions. As of this date, no meeting has been scheduled for Little Village residents. I've called Elvira Perez four times and left a message for her to call me. Perez has not returned my calls. REMAPPING: Ald. Rey Colon [35th Ward] reports in his Ward Newsletter that Latino's represent 29% of the City's population. Since the last census the Latino population has increased by more than 25,000 people. Every ten years after the Census data is released, a "redistricting" process begins which takes into account population shifts. Redistricting of the wards is based on the 1965 Voting Right Act to assure equal representation for constituents in compliance with the "one-person, one-vote" principal. REFLECTING the Latino population increase, the City Council Latino Caucus is seeking the creation of 14 Hispanic majority wards. The Latino caucus is pursuing six  Hispanic wards on the north side and eight  on the south side of the city. LATINO CAUCUS MEMBERS are: Ald. Joe Moreno [1st Ward], Ald. Danny Solis [25th Ward], Ald. George A. Cardenas [12th Ward], Ald. Ricardo Munoz [22nd Ward], Ald. Ariel E. Reboyras [30th Ward], Ald. Ray Suarez [31st Ward], Ald. Roberto Maldonado [26th Ward], and Ald. Ray Colon [35th Ward]. ALD. DANIEL SOLIS, Chairman of the caucus, said the city should have 14 wards with a Latino population of at least 65 percent. It also should have two "Latino-influence" wards, with populations that are 35 percent and 55 percent Latino, he added. BASED UPON Latino Census numbers, it is imperative that the Latino Caucus members take whatever action necessary to create the 14 new Hispanic majority wards. Based on our numbers we should be fully represented in the political process. WE COMMEND the Latino Caucus members for their foresight and urge them to hold steadfastly to the 14 Latino wards recommendation to the City Council. TURKEY DINNER: The Asociacion Pro Derechos Obreros [APO/Workers' Rights Association] and the Mexican-American Veterans Association [MAVA] are inviting veterans, friends and residents of the Pilsen community to join them for a FREE Thanksgiving Day dinner. The free Thanksgiving dinner will be on Thursday, Nov. 24, 2011 from 11:00 a.m. to 2:00 p.m. at the Benito Juarez Community Academy, 2150 S. Laflin Ave. [22nd St. & Ashland Ave.]. SPONSORS and contributors of the Thanksgiving dinner are: Mount Sinai Hospital, Benito Juarez Community Academy, Mexican American Veterans Association [MAVA], AMVETS Dr. Hector P. Garcia Post #326, Manuel Perez Jr. American Legion Post 1017, Kristopher's Cafe, APO Arts Center, Cafe Jumping Bean, La Casa Del Pueble, El Nopal Bakery, Nuevo Leon Restaurant, Nuevo Leon Barkery, Del Rey Tortilleria, El Trebol Liquors, El Mazcal Restaurante, La Esperanza Restaurante, El Taconazo Restaurante...Kudos to APO and MAVA for their community service. 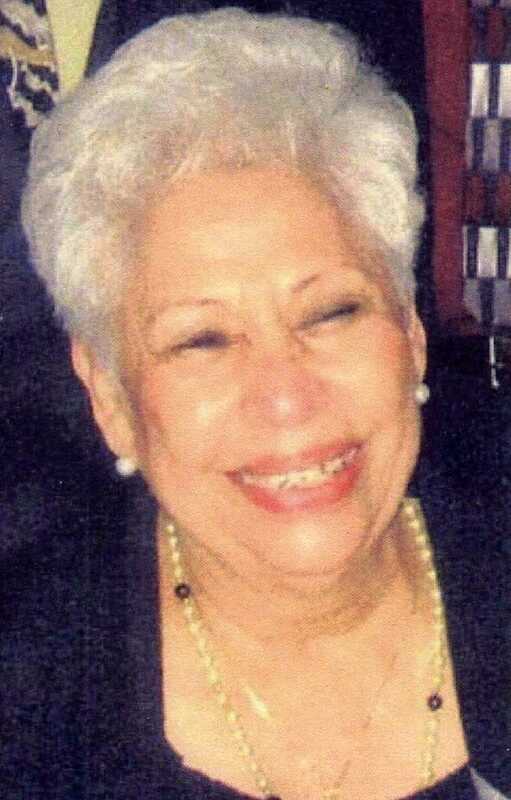 IN REMEMBRANCE: Eva Medrano [1923-2011] passed away Oct. 27, 2011. She was the mother of former 25th Alderman Ambrosio Medrano, Felix V. Jr., Rodolfo, Adolaria, and the late Ezequiel. She proceeded in death by her husband Felix V. Medrano Sr. Eva was born in Laredo, Texas and graduated from Martin High School in 1950. She married Felix in 1951 and settled down in Chicago that same year. In 1960, Eva and Felix became business owners of their first grocery store at the corner of Grand Ave. & Peoria St. They later moved to another grocery store at Cullerton & Wood St. In 1980, with their son Ambrosio, they became joint owners of Cermak Bowl. Cermak Bowl became the home of "El Centro Children's Bowling League" organized by Michael and Francis Nares. Later, the couple became owner of the Palace Bowl in Cicero, IL. Eva was an active member of the Cicero Bible Church. May she rest in peace. Our condolences to the Medrano family. SHUT DOWN: Mayor Rahm Emanuel’s proposed 2012 City’s budget will cut funding for the Commission on Human Relations [CCHR]. The cut will shut down eight volunteer Advisory Councils: African, Arab, Asian, Immigrant & Refugee, Latino, LGBT, Veterans and Women Advisory Councils. All staff will be laid off on December 31, 2011. LATINO ADVISORY Council Director/Community Liaison is Refugio “Reggie” Gonzales and Council members are Pablo Acosta, Martin Arteaga, Yolanda DeAnda, Rudolph Espinoza, Mark Anthony Flores, Mario A. Garcia, Jr., Victor Garibay, Dr. Ana Gil-Garcia, Mario I. Valadez, Veronica Loewy, Roberto Montano, Adriana Morales, Stewart A. Munoz, Rosalba Priego, Mirtha E. Quintana-Toomey, Luz Maria Solis and Grant Vitale. "I HAVE SERVED this city for more than 16 years and my last six years as the Director of Latino Affairs has been challenging. There is too much to do with limited funds and with a volunteer team. However, every member has been a charitable contributor and a leader of our community. I wish them well in their future volunteerism tasks and pray that those who have been laid off to continue to give back to the community," said Gonzales. DAY OF THE DEAD: Students of Columbia College Latino Alliance hosted their 7th Annual “El Dia De Los Muertos” celebration on Friday, Nov. 4, 2011. Students, family members and friends of the Latino Alliance began the “Dia De Los Muertos” celebration with a procession at 5 p.m. in front of Columbia College, 1104 S. Wabash Ave. and walked to another Columbia College building at 618 S. Michigan Ave. The William Jones College Prep school band led the procession, marching in cadence with painted “catrinas” faces, playing music. Behind the band were three large catrinas skeletons, guitar and marchers dressed in calavera costumes. LATINO ALLIANCE PRESIDENT SERAFIN LOPEZ said: “This event signifies remembrance of our [deceased] family members. They are still alive in our hearts.” The program continued in a small Columbia College auditorium that included entertainment by student singers and guitarists, Mexican food and a video presentation. The video featured members of Latino Alliance giving testimony of their upbringing and love for their parents, grandparents and deceased family members. SPECIAL RECOGNITION was given to Maria Silva, a Little Village resident, by Latino Alliance for her generous donation of Mexican food. “I cooked all night,” said Maria. Maria is the mother of Armando Silva Jr., Photo Coordinator for the Latino Alliance. She is a Farragut Career Academy Local School Council [LSC] member and Secretary with the Little Village Community Council. The food Maria cooked was delicious. LATINO ALLIANCE officers are Serafin Lopez, President; Alicia Valtierra, Vice President; Uri Brito, Vice President; Denise Perez, Secretary and Edgar Romero, Treasurer. REDISTRICTING: The Chicago Board of Elections 2012 Calendar states: “The City Council for the City of Chicago is charged with the duty of redistricting ward boundaries by December 1, 2011. IT IS possible that the City Council, even if it adopts a redistricting plan on or before December 1, 2011, may not make such new ward boundaries effective until after the March 20, 2012 election. Until such redistricting occurs, existing ward boundaries shall apply. The signature requirements for Ward Committeeman found in this calendar are based on current ward boundaries. Watch for further announcements if the City Council adopts a redistricting plan prior to the close of the period for filing nomination papers”. 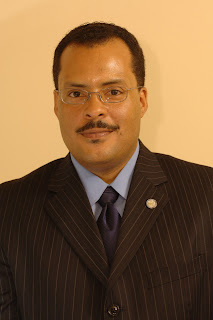 WARD COMMITTEEMAN: Tuesday, March 20, 2012 is Chicago’s General Primary Election. Voters will elect their Democratic or Republican Party Ward Committeeman. Each of the 50 Chicago wards has a Democratic and a Republican Committeeman. A WARD Committeeman, elected every four years, is a member of the Central Committee of his or her political party. They are involved in slating of their candidates for elections, fund raising, voter registration, getting out the vote, recruiting election judges and promoting their party candidates at election time. A COMMITTEEMAN does not receive a salary. However, they have political influence based on their weighted vote in their respective ward. Some hold two or three political positions. ELECTION FILING PERIOD for Ward Committeeman is Nov. 28 through Dec. 5, and requires 500 to 800 signatures to get on the ballot. LATINO WARD Committeemen are: 1st Ward: Jesse Ruben Juarez; 12th Ward: Antonio “Tony” Munoz; 22nd Ward: Ricardo Munoz; 25th Ward: Daniel S. Solis; 26th Ward: Roberto Maldonado; 30th Ward: Ariel E. Reboyras; 31st Ward: Joseph Berrios; 35th Ward: Rey Colon. HALLOWEEN BLAST: More than 1,000 children visited the Little Village Community Council office, 3610 West 26th Street, for candy and popcorn on Halloween. A special attraction this year was a Haunted House visited by more than 300 parents with children. A lot of the children were too scared to go into the Haunted House. DJ Jesse Barraza played Halloween music for the children waiting for their candy and popcorn. businesses and individuals who contributed candy or in-kind donations for the children’s Halloween Party: La Preferida, 26th St., Chamber of Commerce, Attorney Michael Hernandez, Cermak Foods, Attorney Juan Soliz, Jason Sigellak [Teacher/Farragut], Walgreens, State Rep. Elizabeth [Lisa] Hernandez, [24TH District]; Mario Martinez, Commissioner Frank Avila Sr., [MWRDGC]; Commissioner Michael A. Cabonargi, [Cook County Board of Review], TCF Bank, Victor Franco Jr., Los Candiles Restaurant, Henry Zabala, [Rico Graphics, Inc.], Henry Gardunio and especially Haunted House designer, Raul Villanova. LV COMMUNITY Council members/volunteers who made the Halloween Party a success were William Luna, Abe Munoz, Baltazar Enriquez, Danny Farralez, Anna Martinez, Maria Silva, Nibes Guerrero, August Sallas and ten Jesuit Cristo Rey High School students distributed candy and popcorn to the children. MANY PARENTS expressed their appreciation and thanked the Council members for having a great and exciting Halloween Party. All the children were dressed in costumes and had a terrific time. VETERANS DAY: Manuel Perez Jr. American Legion Post 1017 will be holding a Veteran’s Day ceremony on Veterans Day, Friday, Nov. 11, 2011 [11-11-11] starting at 10:30 a.m. at the Manuel Perez Jr. Memorial Plaza, 26th St. & Kolin Ave. in Little Village. Post Commander, Joe Ramirez, is inviting all veterans and their families to the Perez Memorial Plaza to celebrate Veteran’s Day. “We are expecting a large crowd for this special Veteran’s Day falling on 11-11-11”, said Ramirez. VETERANS have been working at the Memorial Plaza, giving the plaza a facelift with a newly painted mural, benches, wooden pillars, flags and tree trimmings. The new mural at the plaza has the images of three Congressional Medal of Honor recipients: Manuel Perez Jr., Rodolfo “Rudy” Hernandez and Roy Benavidez; each one is a hero. OTHER Mexican-American Congressional Medal of Honor recipients include: Edward Gomez; Amiroso Guillen; Benito Martinez; Jose Rodriguez; Luciano Adams; Marcario Garcia; David Gonzales; Sylvestre Herrera; Jose Lopez; Jose Martinez; Charles Porras; Cleto Rodriguez; Alejandro Ruiz; Jose Valdez; Ismael Villegas; Emilio de la Garza; Daniel Fernandez; Alfredo Gonzalez; Jose Jiminez; Miguel Keith; Alfred Rascon; Louis Rocco; Jay Vargas and Maximino Yabes. These men received the CMH medal for their heroism. We salute them for their bravery and pay homage to them on Veteran’s Day. FALL FIESTA: Citizens for Elizabeth Hernandez [D-24th District] are hosting their annual Fall Fiesta 2011 fund-raiser in support of State Representative Elizabeth “Lisa” Hernandez. The Fiesta will be held on Monday, Nov. 14, 2011 from 5:30 p.m. to 8:30 p.m. at Paisan’s Restaurant, 6226 W. Ogden Ave. in Berwyn. Individual ticket: $125 includes food, soft-drinks, beer, wine and entertainment. For more information to RSVP contact Delia at delia@staterephernandez.com or 312/593-2458. THE NEW REMAPPING of State Representative districts has made incumbent State Representative Hernandez responsible for South Cicero, Riverside, Brookfield, ¾ of Berwyn and Little Village. Lisa is a product of Little Village being familiar with our neighborhood and our needs. As a respected public official Lisa continues to display leadership with a strong voice. We need her representation in Springfield. UNO FUND-RAISER: Mayor Rahm Emanuel will be the keynote speaker at the 2011 Awards Dinner hosted by the United Neighborhood Organization [UNO]. The event will be held on Monday, Nov. 14, 2011 from 6:00 p.m. to 9:00 p.m. at the Fairmont Chicago, Millennium Park, 200 N. Columbus Drive. Ticket: $450 per person. FOR MORE information contact Jacqueline Pena Burke at 312/432-601, ext. 1026.